Lutheran Church of St. John in Grodno. 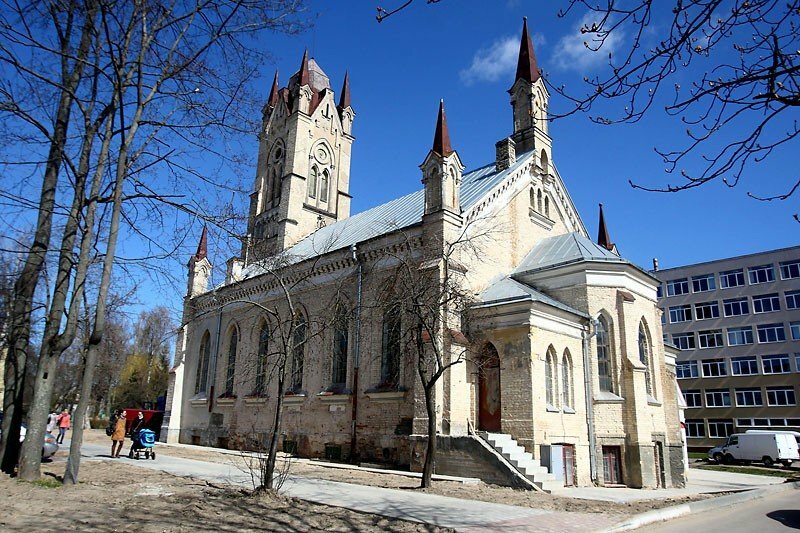 The origins of the Lutheran community in Grodno date back to the period of rule Tyzenhauz, who brought to the town of German craftsmen. The temple was built in the late eighteenth century, in the suburb called Horodnica on the basis of the old building the inn donated Grodno Protestants by King Stanislaw August Poniatowski. The church was rebuilt several times: among others, in 1843, 1870-1873 (he created the clock tower) and 1912 (giving it the shape of neo-Gothic). Its contemporary look achieved just before World War I, when the house was built pastoral. Today every Saturday at 18:00 and Sundays at 12:00 and 15:00 in the church is the organ recital, the concert at which music is played the organ.